Sleep is imperative to the body’s functioning for countless reasons. But, unfortunately, a recent shows that it can be nearly impossible to make up for lost rest by sleeping more at other times of the week. Researchers found that those who try to catch up on sleep over the weekend aren’t actually doing their bodies any favors. That’s because once the work week starts, sleep is once again decreased. According to the study, this can lead to issues with metabolism, such as diabetes or obesity. “The key take-home message from this study is that ad libitum weekend recovery or catch-up sleep does not appear to be an effective countermeasure to reverse sleep loss induced disruptions of metabolism,” said researcher Kenneth Wright. To see how catch-up sleep affects the metabolism, the researchers divided participants into three groups and varied their sleeping patterns over the course of 9 days. The first group slept for nine hours each night, the second group had five hours, and the third group slept for five hours during the five days of the work week and were then given the weekend to sleep as much as they wanted before returning to the mid-week schedule. 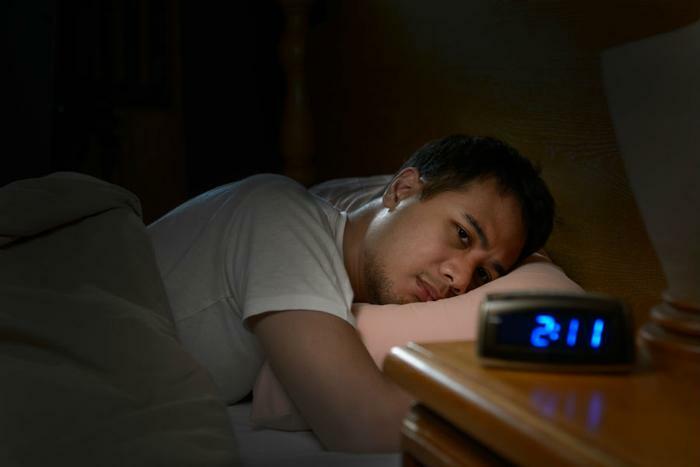 Insufficient sleep affected the participants’ sensitivity to insulin. Participants in the third group were most affected by this; they experienced a drop in insulin sensitivity between nine and 27 percent once they returned to their shortened sleep cycle, while the first group saw a 13 percent drop. The researchers found that participants’ eating habits were also affected by the change in sleep, as the first two groups gained weight due to late-night snacking. The third group was most affected by returning to the shortened sleep schedule during the week. After the initial seven days of sleep, they were also more likely to eat later at night and put on more weight. The researchers suggest seven or more hours of sleep per night for adults so that they can function at their best. The team hopes these results further prove how crucial sleep is for the overall wellbeing of our bodies. Lack of sleep is a growing problem for young children, teens, and older people. In a separate study, researchers found that consumes who spend too much time in front of screens could also be disrupting their sleep cycles. Based on the way different cells in our eyes take in the glow from phones, tablets, or laptops, our internal clocks can get disrupted, thus creating issues sleeping.